The Institute of Indology and Tamil University (IITS) at the University of Cologne in Germany offers distinct study opportunities. 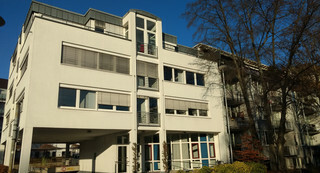 It is unique among the indological research institutions in Germany and it is the only institute with a clear in-depth orientation to the research and teaching regarding the languages and cultures of South India (Tamil Nadu, Kerala, Karnataka and Andhra Pradesh), Sri Lanka as well as the relations between South India and Southeast Asia (particularly Cambodia and Singapore). In this regard, the IITS is dedicated to a research discipline within the area of Indian studies which has long played a subordinate role. Just like the name of our institution suggests, the IITS has a particular focus on the study and research on Tamil language and culture, which also gained particular importance due to the migration of Tamils from Sri Lanka to Germany since the mid-eighties. Tamil is the most important representative of the so-called Dravidian languages with about 70 million speakers in the southern Indian state of Tamil Nadu. Other large groups of speakers live in Sri Lanka, Mauritius, Malaysia, Singapore and Canada, USA, UK, France and Switzerland. The IITS offers a wide range of study, research and specializing opportunities as it covers an area that currently covers four languages of South and Southeast Asia. These include Tamil (78 million speakers), Malayalam (over 30 million speakers), Sinhalese (16 million speakers) and Khmer (over 10 million speakers). The IITS also holds both nationally and internationally a leading position in research. The focus on South India conditions the special position of the IITS in the landscape of the German Indology. This is further fostered by numerous international partnerships and cooperations with national and international institutions in Europe (Germany, France, Austria, Sweden, Czech Republic), the USA (Chicago, Berkeley, Rhode Island) and Asia (India, Sri Lanka, Singapore). Numerous research projects have been conducted by the IITS that benefited also the University of Cologne with third-party fundings (e.g. 400,000 € alone in the years 2003 and 2004). The Tamil-Section of the IITS' library deserves particular mention. It was founded in the 1950s and 1960s and has since 1992 continuously been expanded. The current stock amounts now to over 60,000 titles. Thus, the institute has the most comprehensive and richest library outside India on Tamil Studies. An important part of this library consists of books from the end of the 19th and early 20th Century have been published. Many of these books are these days only available at the IITS. The Library is a globally unique and both nationally and internationally widely acclaimed research tool that is beyond the institute's operation frequently been visited by researchers from all over the world. The IITS is the only institute in Germany that offers study programs in Indology and Tamil Studies (Magister Artium), Kuga India (Bachelor of Arts) and Indian Studies (Master of Arts) with an emphasis on Tamil. Students of these programs have the opportunity to study a major language officially spoken in India, Sri Lanka and Singapore. On the other hand, the many Tamils living in Germany are in this way provided with the possibility to study their native language. This increasingly earned the IITS positive resonance among the 70,000 Tamil people that currently live in Germany. The IITS supports the Tamil population in Germany through the provision of dictionaries as well as its library. The IITS is also for people from other South - and Southeast Asian countries an important institution as research and teaching is provided on Kerala´s official language Malayalam and Cambodia´s administrative language Khmer. Moreover, the IITS conducts via the KOHD in Göttingen projects on cataloging oriental manuscripts (Malayalam) and palm leaf manuscripts (Tamil, Khmer).